Could Thanos be involved after all? With Ant-Man and The Wasp now in cinemas in most territories, the next Marvel film due to release is now Captain Marvel. Much has been made of the film's significance in the run up to Avengers 4, with Infinity War's sole post-credits sequence having referenced the character, along with the fact that, as a prequel, it's said to tie heavily into the culmination of Marvel's third phase. It's the Marvel film everyone can't stop talking about (despite the efforts of the Ant-Man sequel), and while most of its production has been kept under wraps, Nick Fury actor Samuel L. Jackson has provided updates throughout the shoot, the most recent of which included a business card for the aforementioned Director of S.H.I.E.L.D, which the actor posted on Instagram. Following on from the Pulp Fiction reference at the end of The Winter Soldier, Fury's codename in the nineties appears to be "bad mother******". It's the smaller details that prove to be the most illuminating however, with the Zip Code for S.H.I.E.L.D. 's L.A. base actually forming part of an ISBN number. 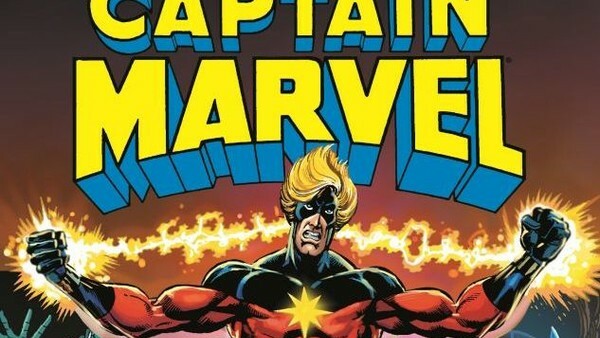 The number (as reported by Bleeding Cool), actually directs readers to Jim Starlin's Captain Marvel: The Complete Collection, which includes a number of formative storylines from the writer's stint on the character. 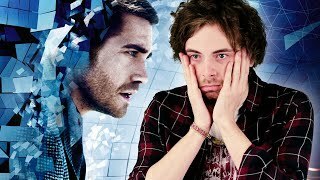 Though most adventures within the text revolve around Mar-Vel (set to be played by Jude Law in the upcoming film), they could yet point towards several key influences for the prequel. The seminal Kree-Skrull War is already confirmed to feature, but other storylines, such as The Death of Captain Marvel, haven't been confirmed to have inspired the story audiences will see play out in 2019. "The ultimate collection of the creator that defined Captain Marvel! Under the aegis of writer/artist Jim Starlin, Captain Marvel evolved into one of comics' most influential titles. Starlin stripped the Kree Captain to his core and resurrected him as a truly cosmic hero. This may have been Starlin's first super-hero saga, but it introduced some of his signature characters - including Drax the Destroyer and Mar-Vell's nemesis, Thanos! As Thanos' mad quest for unlimited power rages, Captain Marvel teams with the Avengers for a truly epic confrontation!" "Years later, Starlin returned for the strikingly personal and moving "Death of Captain Marvel" - and rewrote the rule book on a super hero's passing. Collecting Captain Marvel (1968) #25-34, Iron Man (1968) #55, Marvel Feature (1971) #12, Marvel Graphic Novel #1 and material from Daredevil (1964) #105 and Life Of Captain Marvel issues #1-5." Though this could just be a neat little nod to the comics from Marvel's costuming department, the storylines contained in the collection could yet provide us with clues as to what may feature in the upcoming film. Marvel Graphic Novel #1 is features the aforementioned Death of Mar-Vel, and while the likelihood of those events repeating in the film are indeed high, there are other, potentially juicier details included in the collection. 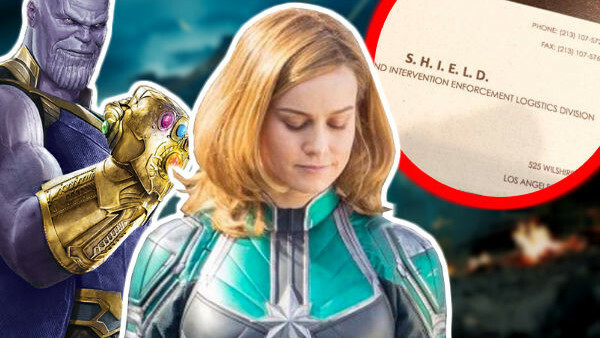 It's already been established that Brie Larson's Carol Danvers will play a pivotal role in Avengers 4, but so far connections to Thanos have drawn a blank. The Mad Titan was a pivotal enemy in Starlin's comic however, and though the chance of Josh Brolin reprising his role in the film is admittedly slim, two of his minions did appear throughout the series too. The Blood Brothers cropped up first in Marvel Feature #12 (an Iron Man comic included in the collection), before taking on a part in Captain Marvel, and it was established in that comic that they were Thanos' underlings, as well as the sole residents of the Titan's first Earthbound base of operations. In the comics, the base was actually discovered by the US Military as well. With Carol having been both a USAF pilot and an Agent of S.H.I.E.L.D., it wouldn't be too disingenuous to assume that, come March 2019, the film reveals that this was humanity's first contact with the genocidal alien.